We serve as a reliable manufacturer, supplier, exporter and importer Insulated Power Cables. Our All cable conform to IS : 1554 (Part -1) : 1988 for working voltages up to 1100 volts. We can offer cables as per the requirements of customers of other national or international standards. Owing to the advance infrastructural unit, we are capable to provide a huge array of PVC Insulated Power Cable. Our PVC Insulated Power Cable is water proof and is annealed to resist high temperature. Also, our cables are safe to use and perfect in finishing that satisfy the customers most. Insulation: High grade cross-linked polyethylene for insulation by extrusion process. 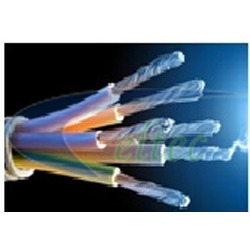 We are leading and trusted Dealer / Distributor XLPE Insulated Power & Control Cables. We mantain high inventory level of Power and control cables in Copper as well as in Aluminium cables. We offered wires and cables at very competitive prices or at market leading prices.